Born in Indonesia. Raised in ATL. 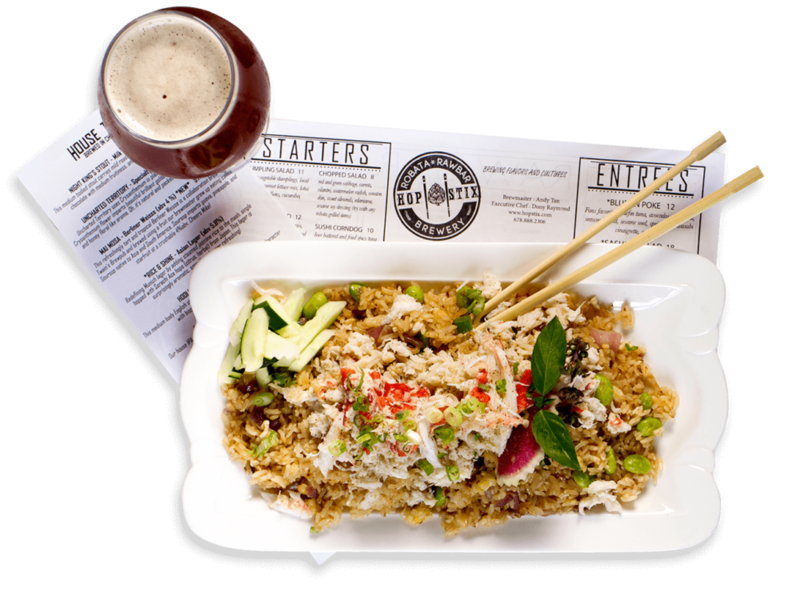 Hopstix founder and brewmaster Andy Tan grew up within the vibrant Indonesian food scene which consisted of trendy street food, extraordinary fine dining, flavorful spices, and dynamic culinary artisans who were never afraid of innovation. Teaming with executive chef Dony Raymond, Hopstix seamlessly delivers that Southeastern Asian culinary influence to the Atlanta dining scene. Andy fell in love with Georgia’s capital as soon as he arrived, and it was always his dream to offer his Indonesian food background to a new part of the world; this gastropub realizes that dream. Delectable fare, award-winning craft beer, and a personable staff: That is the Hopstix formula of success. Fresh Ingredients. Inventive Dishes. World Class Beer. Food can be an art form, and Andy along with his talented team of experienced chefs, never pass up an opportunity to create the next culinary masterpiece. 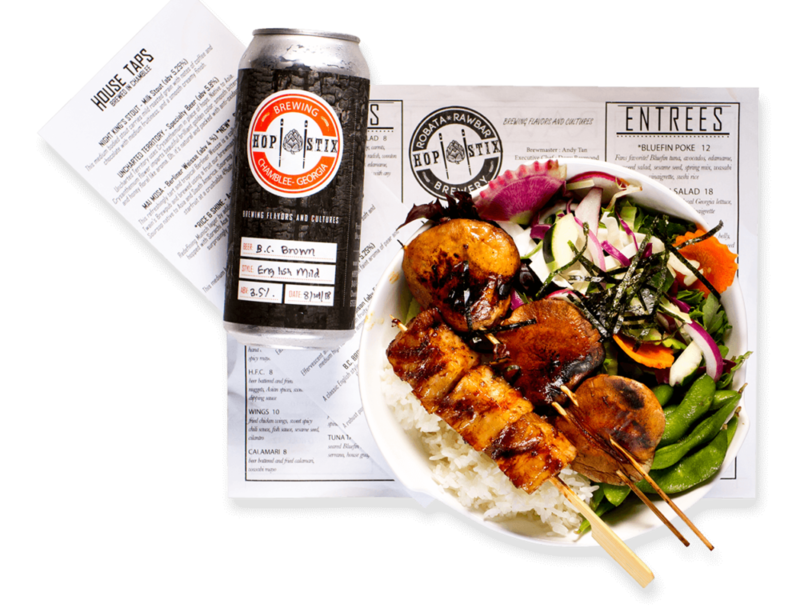 The Hopstix menu is a creative blend of Asian-fusion dishes—everything from robata skewers, to ramen, a raw bar, and tempura to name a few—complemented by a plethora of ale and lager variations expertly crafted on site. The open kitchen justly exhibits the passion its culinary staff puts into every menu item. Hopstix Knows How To Brew. From the Crisp Refreshness of “Rice & Shine” Asian Lager, To The Darker Side Of “Seven Seas,” Hopstix Knows How To Brew. Andy’s love for flavor doesn’t stop with the food; the Hopstix brewery is a dynamic blend of styles, various flavor profiles, textures to complement virtually any dish. The Hopstix mission is simple: A patron’s palate must be blessed with every sip and bite. Of course, other senses are awarded as well with stunning plate presentations and exotic aromas unlike anything Atlanta has to offer.